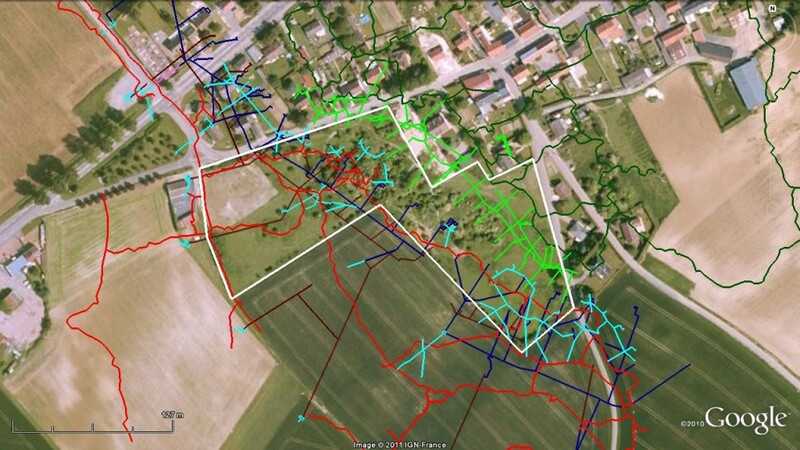 After six months of ground clearance, summer 2011 saw the start of an extensive non-invasive investigation of the two-hectare site. On 10 June, Bactec International carried out the first of a range of geophysical techniques that will be deployed at the site. Results of the Caesium Pump Magnetometry are at present being analysed and filtered, and may reveal the traces of buildings, trenches, dugouts, shelters and tunnels, and in vital addition the potential presence of ordnance. Other techniques, including radar and resistivity, are to follow. An infra-red survey and Lidar topographical study (aerial laser scanning) will further facilitate the mapping of trenches and some 70 craters resulting from explosions related to underground warfare. Utilising the combined results, invited historians, specialist technicians, archaeologists, students and volunteers from across the globe will begin the excavation of selected locations in 2012. La Boisselle with the preserved ground of the Glory Hole outlined. The Lochnagar mine crater is bottom right. As a result of several years of research in British, French and German archives, a comprehensive knowledge of the events and personalities associated with the site has already been assembled. This work will continue for as long as the project is in progress. 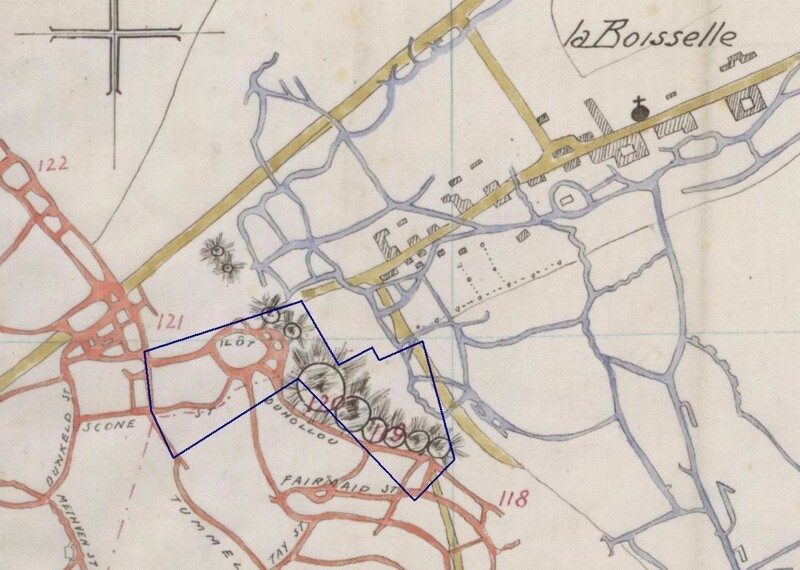 The historical study will encompass the entire chronicle of La Boisselle as a settlement beginning with its establishment in pre-Roman times, following the development of the village and its region down the centuries and through many a military, religious and civil upheaval. After the Battle of Bapaume during the Franco-Prussian War of 1870-71, the village suffered serious damage. A farmstead that existed on the present Glory Hole site was ruined. Demolished by the owners (the Berchon family) in 1883, the farm was rebuilt and expanded before the First World War. As a result of bloody and costly fighting for its occupation in late 1914, the ‘Granathof’, as the cluster of buildings became known, quickly attained a profound symbolic status with the French Breton and German troops. It is believed that remnants of the farm may still exist. The study will also incorporate the affect upon the local population on the outbreak of war and the arrival of the invader, their activities as refugees on both sides of the line, and the rebuilding of lives and livelihoods upon the return to the village in the post-war period. The 1939-1945 conflict clearly forms an integral part of the wider story, and the legacy will be examined up to the present day. The gathering of personal testimony is of paramount importance. A key aspect of the project is to ‘personalize’ the history and archaeology by researching the narratives of individual soldiers of all three belligerent nations who served in and beneath the trenches. The study will include the tracing of present-day descendants. Their testimony will complement that of the displaced civilian population. 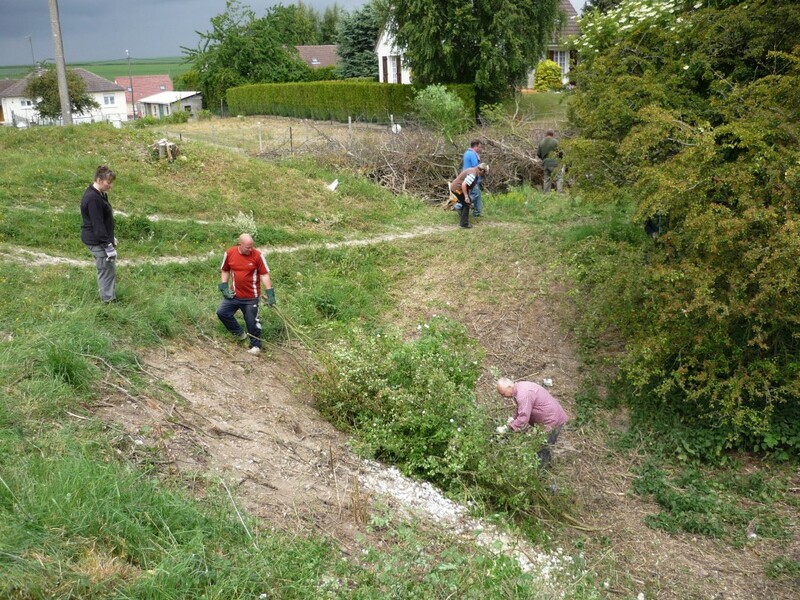 The project is the first of its kind on the Western Front and has been officially sanctioned by the French archaeological authorities, DRAC Picardie. It is envisaged that work may continue for up to fifteen years. 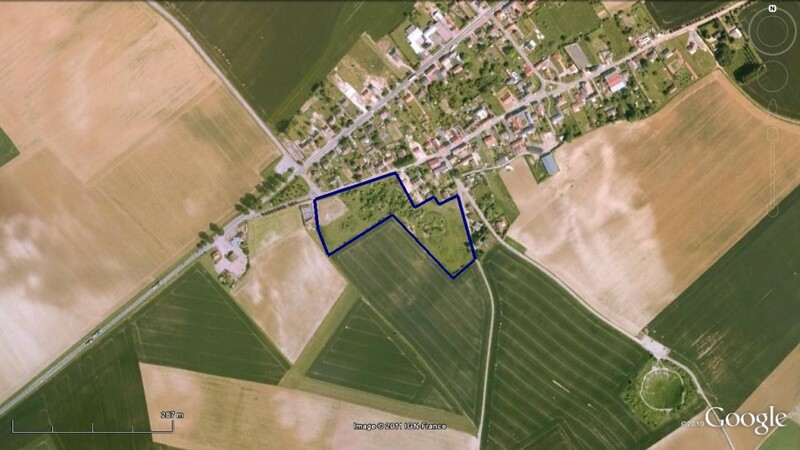 January 2011 – Agreement signed with proprietaire/landowners. 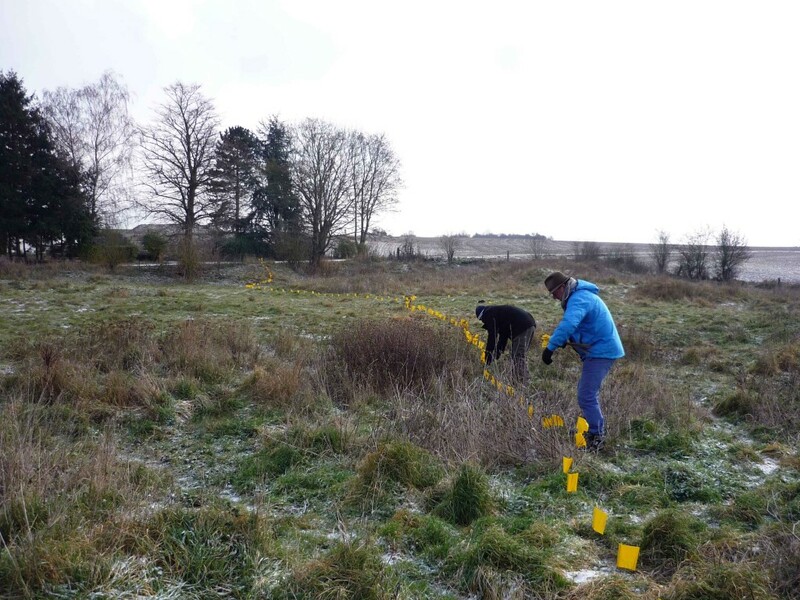 From January 2011 – clearing bushes and undergrowth in preparation for field-walking and geophysics. 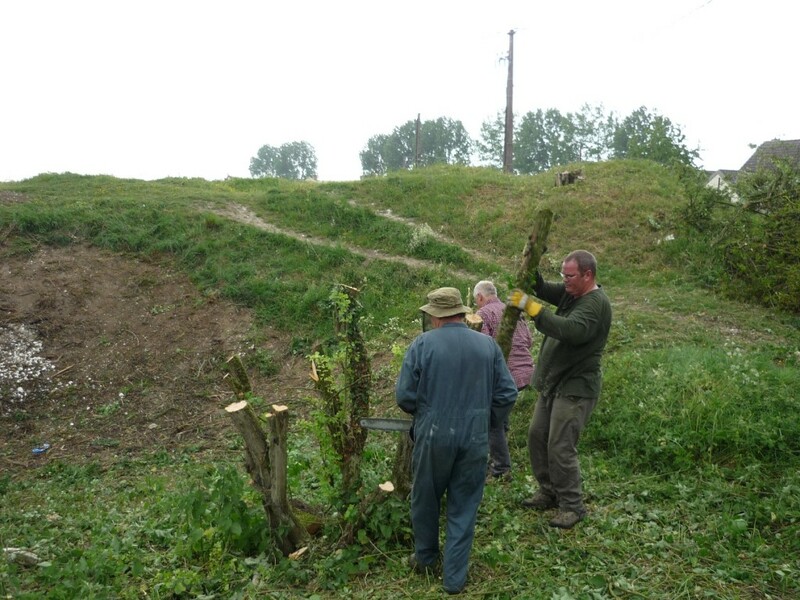 April 2011 – authorisation for archaeological study obtained from DRAC, Picardie. June 2011 – Association registered in France. June 2011 – Bactec International carried out the first of a range of geophysics to be employed at the site. 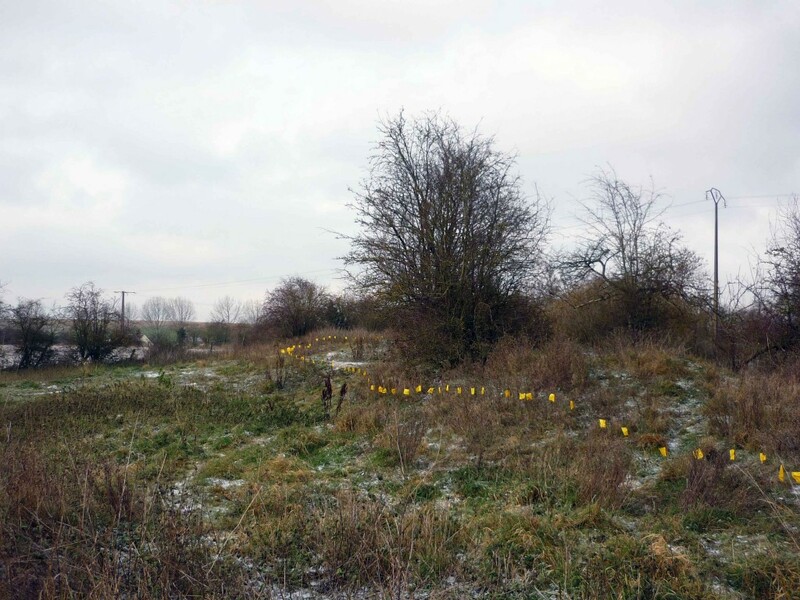 Yellow flags mark the French/British front line skirting crater lips at the Glory Hole.